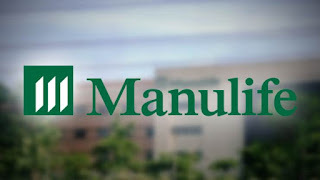 If everything goes well, the first ever pure-play US office REIT - Manulife US Reit, will start trading in SGX from 2pm on 15th July 2015. Yesterday, the preliminary prospectus has been lodged with MAS for the $629.2 million IPO. 2. It plans to grow its portfolio through acquisition from third parties and the proceeds from the IPO will be used mainly for this purpose. 3. The portfolio consists of 83 diversified "high-quality tenants", including TCW, Hyundai Capital America, LA Fitness and Davis Wright Tremaine. 5. It plans to offer an estimated 6.3% dividend yield for 2016 in the offering. 6. Weighted average lease expiry of the properties is said to be 5.1 years while occupancy stands at 97.7% with 83 tenants in total. The properties’ top 10 tenants are said to account for 58% of income while rental escalations of between 2% and 3.5% are said to have been built-in for 83% of the leases. I am still waiting to invest in my first REITs and will definitely find out more about this upcoming IPO once its prospectus is out (assuming it is gotten the approval). I am interested to find out more and maybe nibble a little. The major deterrence is that I have never been to US personally. Noted. Will share more with you if I've gotten more details. Any idea if income would be subjected to withholding tax?